Yankee captain Derek Jeter is immortalized in this stunning and expansive canvas. 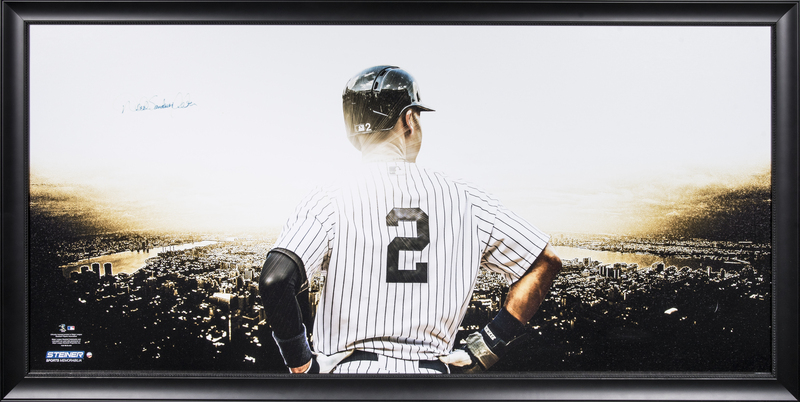 Jeter, dressed in his home whites with his back to the viewer, is presented in front of the New York skyline. 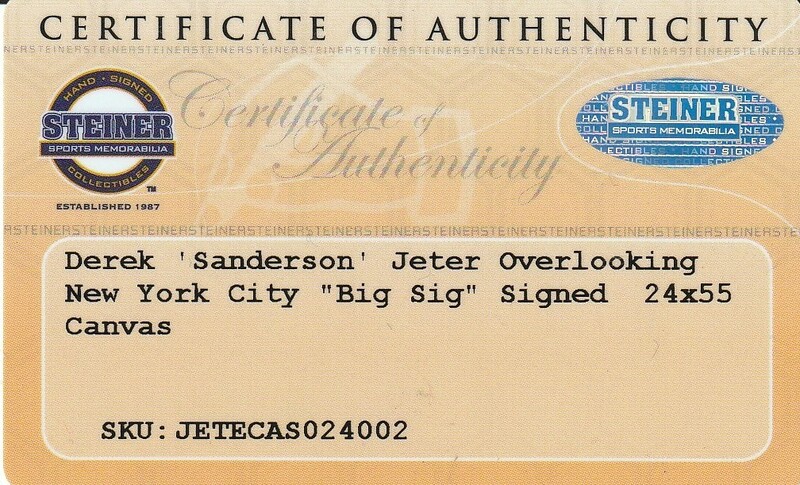 The future Hall of Famer has signed this canvas in blue marker with his full name of “Derek Sanderson Jeter”. 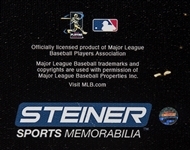 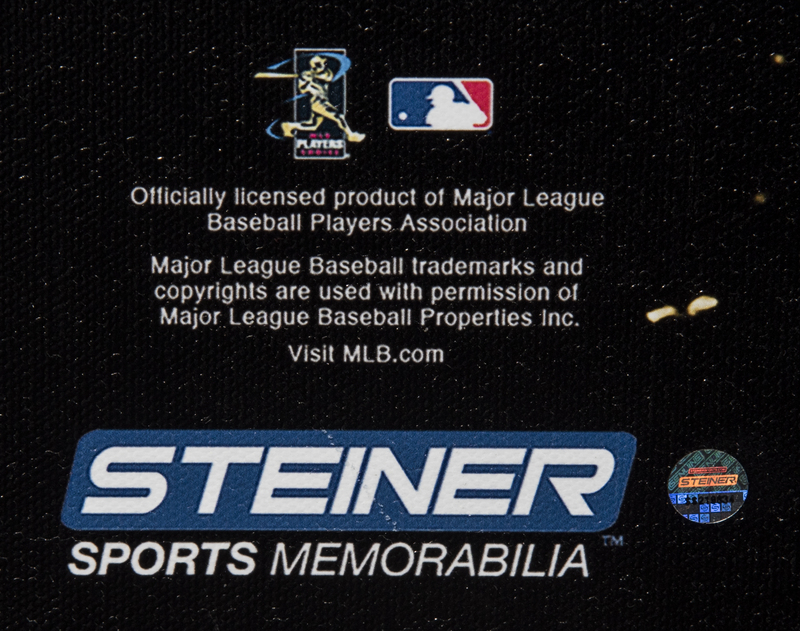 This impressive piece comes in a 59 x 30-inch framed display and is accompanied by a hologram from Steiner Sports (SS219834) and a COA from Steiner Sports.